Apparently we can't sit idly by. Previous article speaks volumes about our positive thrust to experiment, to improve the habitat of our cacti. By chance I took some pictures. One of my friends this summer, dug a hole for the basement and I was interested in the clay there. At different depths, its color varied from gray-yellow to gray-green. We call it the blue clay. Clay in the dry state is very solid, is not destroyed by using hands. When fragmentation becomes a layered structure. A small test showed a neutral PH value. The mineral mixture consisted of two components. Pieces of blue clay and ceramsit. Fraction - 5 mm. 50/50. All summer the cactus were out in the open. Was covered only on the third day lingering rain. In the greenhouse I moved in October. I will show the shooting date. It is certainly not M. luethii. I have left the control plants planted in bricks and shards of granite. 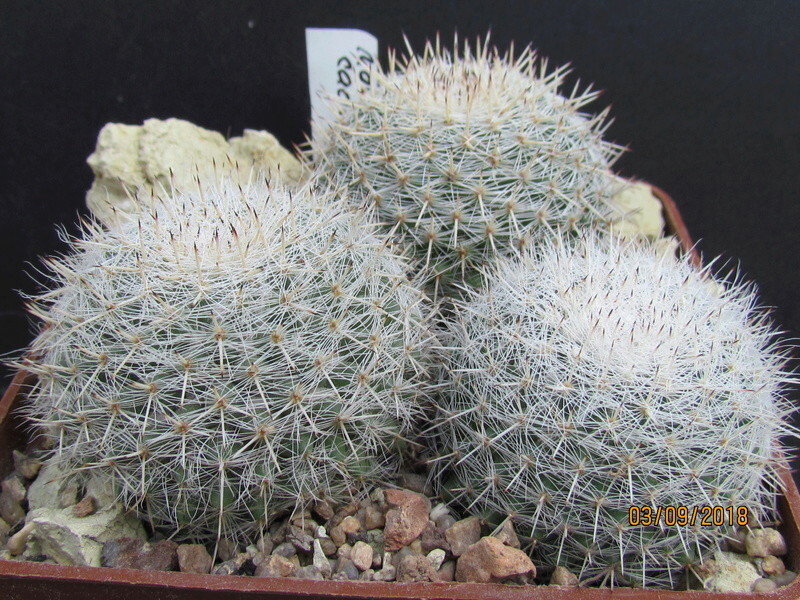 The impression that the blue clay cactuses look more compact. The experiment is not over, the next season will show the result. But it seems to me that the roots are slightly different in size. Monitoring indicates an increase in water holding capacity, so soil does not dry out for a long time. Very interesting! The area from which M. cadereytensis comes, i.e. Cadereyta in Queretaro, is not known for having a clay subsoil! Clay often has some good reserves of trace elements, and it might be these that appear to be having an effect on the development of the roots. As you say, time will tell!! Hello, Chris and all friends. Of course You're right, the mountains of Queretaro in several times younger than my hills. And Cambrian blue clay probably is not there. Maybe You'll find it somewhere in England. 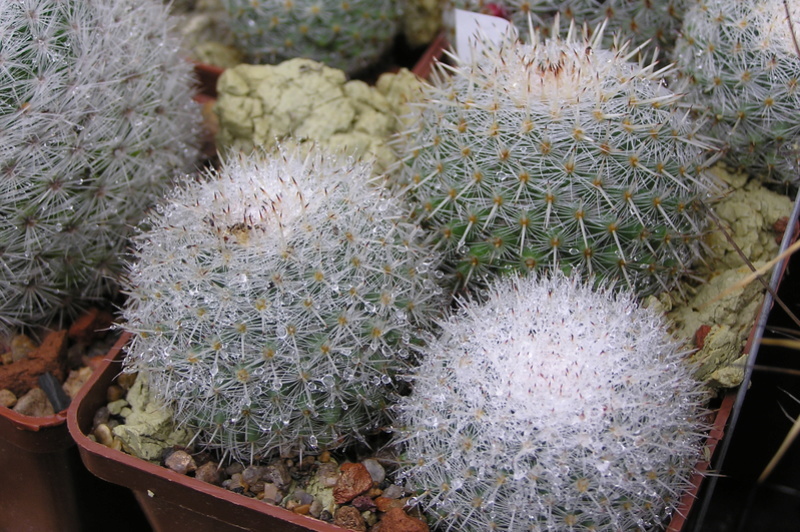 But I think many fans of cacti grow plants in the most available substrates. I am looking for my soil. 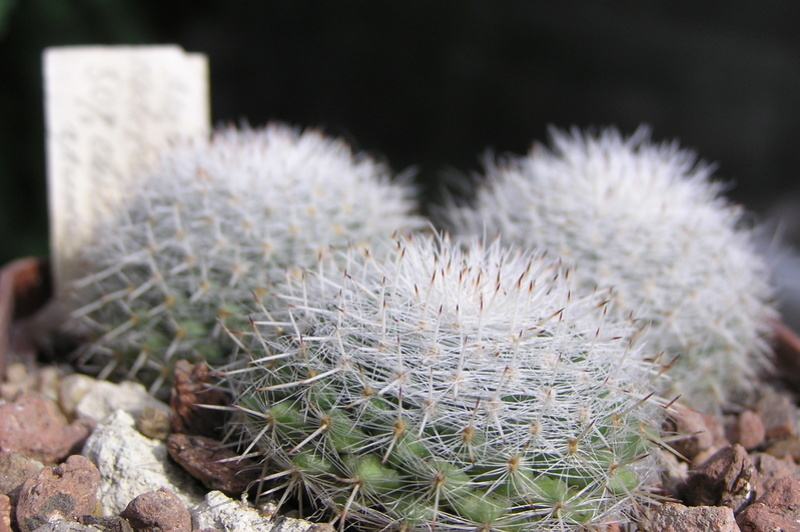 The purpose of my publication was on the physical properties of clay, its water saturation and more uniform feed of cacti. Especially in the spring. The arrival of warm pores and increase solar radiation in the enclosed greenhouse, leads to a sharp overheat. 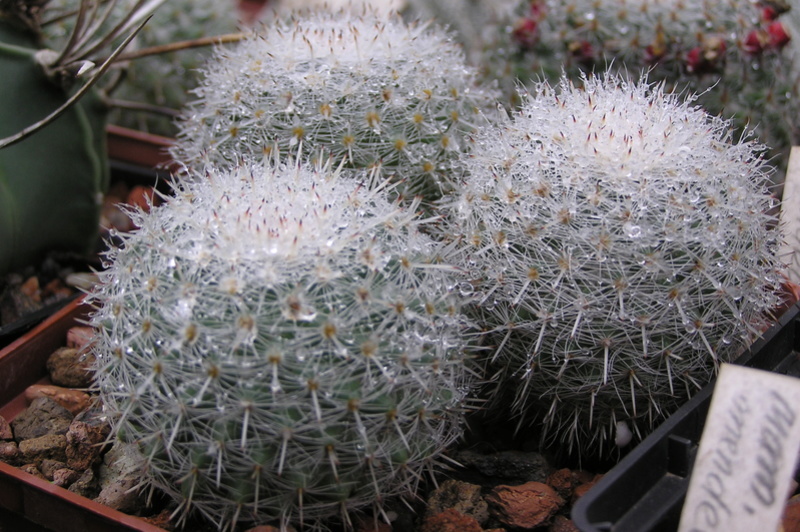 And as a result, the appearance of the rings with weak spines near the point of growth. After several cases, I began to pay attention to the root system of plants. I guess I question the axiom that between waterings the substrate must be completely dry. 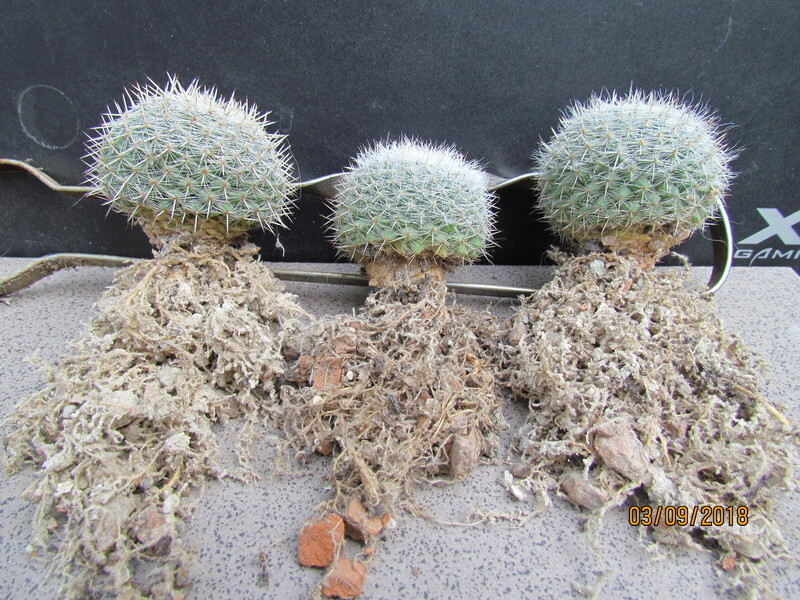 Practice shows that the uniform flow of water has positive effect on the condition of the roots and the appearance of cacti. In my terms generous watering twice a month is not acceptable. The best results were obtained by placing pots on the ground. The influx of continental moisture and the lack of overheating. This is my complete disappointment in tables and pallets for summer maintenance. It seems that we started -In the health- and finished something else. I hope my waterfall of phrases someone clear. Most likely, a sequel will follow. Subject: Re: M. cadereytensis in the blue clay.